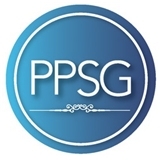 PACIFIC PLASTIC SURGERY GROUP (San Francisco) - Book Appointment Online! Edward P. Miranda, MD, FACS is a board-certified general and cosmetic plastic surgeon based in the beautiful city of San Francisco. Dr. Miranda has received extensive training in cosmetic and reconstructive plastic surgery, and is committed to patient education and tailoring individualized treatment plans based on patient needs. We welcome you to visit our state-of-the-art facility, located in the heart of Hayes Valley and steps away from public transportation. Pleasant and very approachable which makes it easy to talk to him. I was able to address all my concerns, Dr. Dudas answered all my questions and made suggestions. Yes, I would recommend Dr. Dudas. A superb Physician with a great staff of professionals.